Say hello to Gionee M5 Dual Sim smartphone that is the right phone for you. The Gionee M5 Marathon that gets you up to 64 hours talk time with the powerful 6020mAh battery. 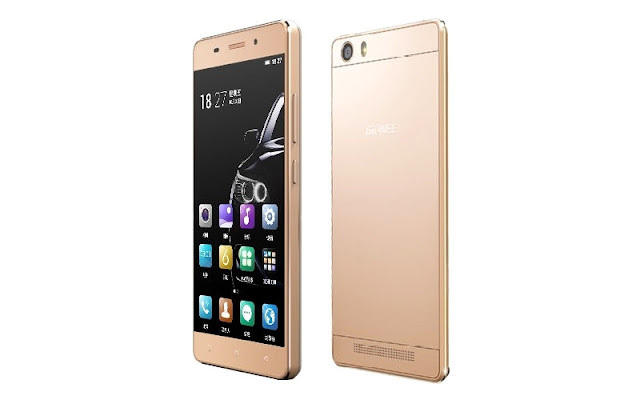 Gionee M5 marathon comes with camera rear of 13MP and it’s supported with a front camera of 5MP this device has a processor of 1.5GHz quad-core cortex-A53 CPU, 2GB of RAM and it runs on Android 5.1 lollipop Operating System. And it has an internal storage of 16GB and can be expended up to 128GB. The Gionee Marathon M5 has a cool gold colour which complements its stylish design. It has dual SIM slots and supports dual SIM standby so you never have to miss a call again.